This modular 8-bus mixer has been designed to satisfy today’s requirements for high quality mid-range sound reinforcement consoles. That means advanced mute scene setting and MIDI control, plus ‘big console’ features, such as sophisticated and precise EQ, input metering, an advanced solo system, and eight pre/post auxiliaries. If your monitoring requirements are more complex then you can team your k3 Theatre up with Soundcraft’s SM12 monitor console, which provides the flexibility of 14 foldback mixes. k3 Theatre delivers an unprecedented degree of mixing control in a versatile package that will integrate into a wide range of live and installed sound situations. It offers an extensive range of frame sizes and modules, enhancing the inherent versatility of a modular 8-bus configuration. But versatility is nothing without quality to match - k3 Theatre is designed and engineered to Soundcraft’s customary high standards. That means it’s built to last, with a rugged steel chassis protecting its circuitry and no compromises in design or component specification throughout. All the rear panel XLRs are gold-plated and inside, the circuit boards employ advanced surface-mount technology. The compact frame with its low sightline will fit in almost anywhere, and ensures excellent visibility from the mixing position. 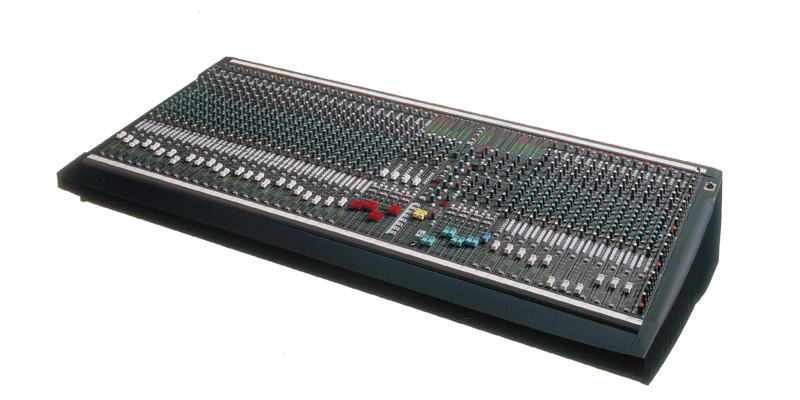 Larger k3 Theatre consoles, of 24-channels and above, can be fitted with an optional meter bridge.